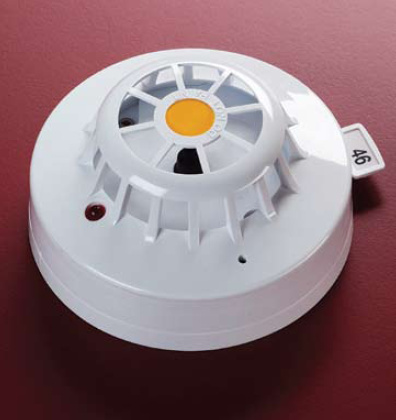 The Apollo XP95 Heat Detector is a carefully-researched, advanced-design device for use with addressable fire alarm systems. High performing and easy to install and use, this detector has many benefits for both the installer and end user. A single thermistor network in the device chamber monitors the air temperature in the surrounding atmosphere. Unaffected by atmospheric pressure, it responds to increasing air temperature, both gradual and sudden, by giving a count output proportional to the external air temperature. 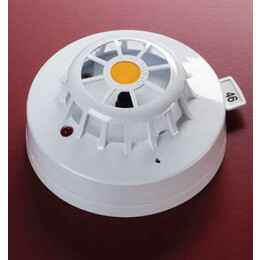 Classified as an A2S device this heat detector will trigger an alarm at 55°C. The low air-flow resistance case is attractive yet robust and made of self-extinguishing white polycarbonate.